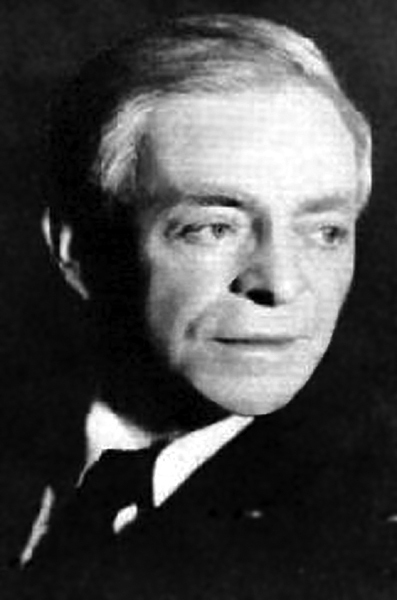 Karl von Frisch (age 34). Winner of one third of the 1973 Nobel Prize in Medicine. November 20 is Karl von Frisch’s birthday. Frisch was an Austrian zoologist who received a third of the 1973 Nobel Prize in Medicine for his discoveries involving bees. Frisch’s first discovery was bees have color vision. He proved this by feeding bees drops of sugar water placed on a blue card. Later he set the blue card in an array of gray cards. To an animal with no color vision, all the cards would look gray. The bees would fly straight to the blue card. Further experiments showed bees can see ultraviolet light and are sensitive to polarized light. Frisch’s second discovery was that bees dance. He observed that when a scout bee finds a feeding location, other forager bees begin to show up a short time later. Somehow, the scout bee was passing the information to the rest of the hive. He began to follow the forager bees back to the hive and observe what they would do when they returned. Frisch discovered the forager bee would perform two different dances depending on the distance to the food source. If the forager found food within 50 meters, the bee would dance in a circle. This dance does not give any information other than food is nearby. The interesting dance was when food was further away. When the food was further than 50 meters, the forager bee would perform the ‘waggle dance’. 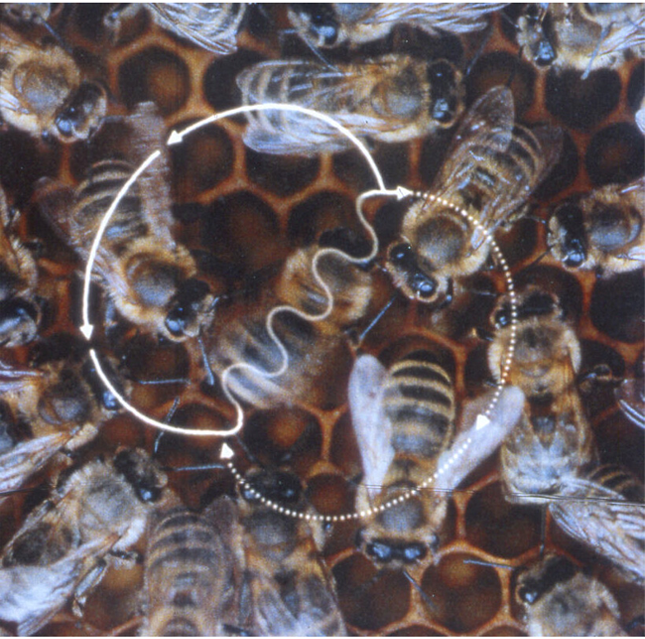 The waggle dance is done by the bee walking in a tight figure eight pattern and wiggle its abdomen through the middle section of the eight. The direction the bee is moving when it performs the wiggle is related to the angle between the food source and the sun. The number of abdomen wiggles corresponds to the distance. Each wiggle is equivalent to approximately 800 meters (or half a mile). He also found the bee will increase the intensity of the dance the better the food source. This was considered one of the most complex forms of non-primate communication ever observed in the animal kingdom. 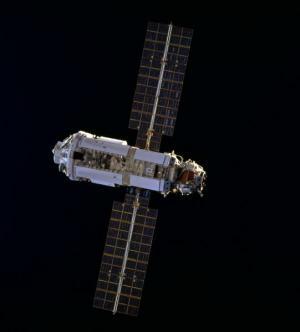 1998 – The First module of the International Space Station is launched. The first module of what would become the International Space Station (ISS) was launched aboard a Russian Proton rocket. The module is known as Zarya (Russian for dawn) and would provide initial electrical power, propulsion, and storage for the ISS. The ISS is a joint project between NASA, Russia, Japan, and the European Space Agency. 1976 – Trofim Denisovich Lysenko died. 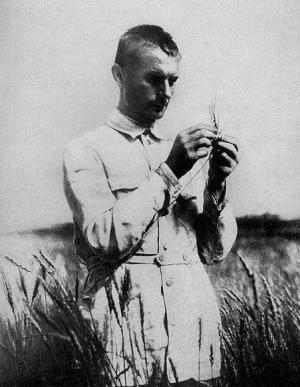 Lysenko was a Russian biologist who led Soviet agriculture and biology under Josef Stalin. He rejected the principles of Mendelian genetics in favor of his theories that closely follow Lemark’s evolutionary theories where environment dictates inheritance. He rose to his position by promising higher grain yields through the group efforts of collective farming and his guidance. He managed to have criticism of his policies and the teaching of Mendel’s theories outlawed. Dissenting scientists were either executed or exiled. His power diminished after the death of Stalin, but the policies were not overturned until 1964. His leadership set Russian biology back twenty years. 1967 – Casimir Funk died. 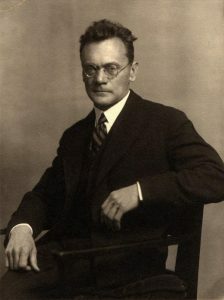 Funk was a Polish biochemist who coined the term ‘vitamine’. He believed there were compounds that were vital to health and were centered around an amine group – vital amines or vitamine. He postulated the existence of vitamins B1, B2, C and D and eventually discovered vitamin B3. Later it was shown that not all vital amines were associated with amines so the final ‘e’ was dropped to just vitamin. 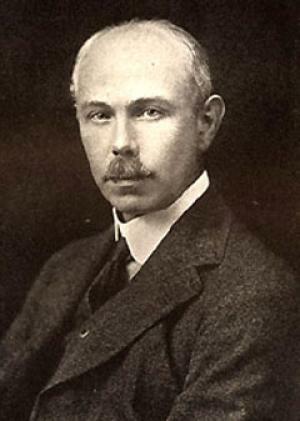 1945 – Francis William Aston died. 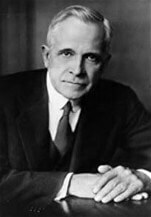 Aston was a British chemist and physicist who was awarded the 1922 Nobel Prize in Chemistry for his invention of the mass spectrometer and the discovery of isotopes of non-radioactive elements. Mass spectrometers separate atoms or ions by mass by accelerating them through a magnetic field. The charged particles will curve through the magnetic field and the more massive the charged particle, the less its path will bend. Today, mass spectrometers are common tools in laboratories. Aston used his mass spectrometer to identify 212 naturally occurring isotopes of elements and formulated a “Whole Number Rule”. The rule states the mass of oxygen isotope is defined at 16, all other isotopes will have masses equal to whole numbers. 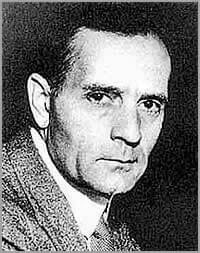 1889 – Edwin Hubble was born. Hubble was an American astronomer who demonstrated the existence of galaxies outside our own Milky Way galaxy. He also showed how the redshift of light from a galaxy or its relative velocity increases proportionally to its distance from the Milky Way. This relationship is known as Hubble’s law and one of the main pieces of evidence for the Big Bang theory. The Hubble Space Telescope is named in his honor. 1886 – Karl von Frisch was born. 1873 – William Coblentz was born. 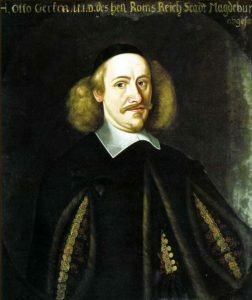 1604 – Otto von Guericke was born. 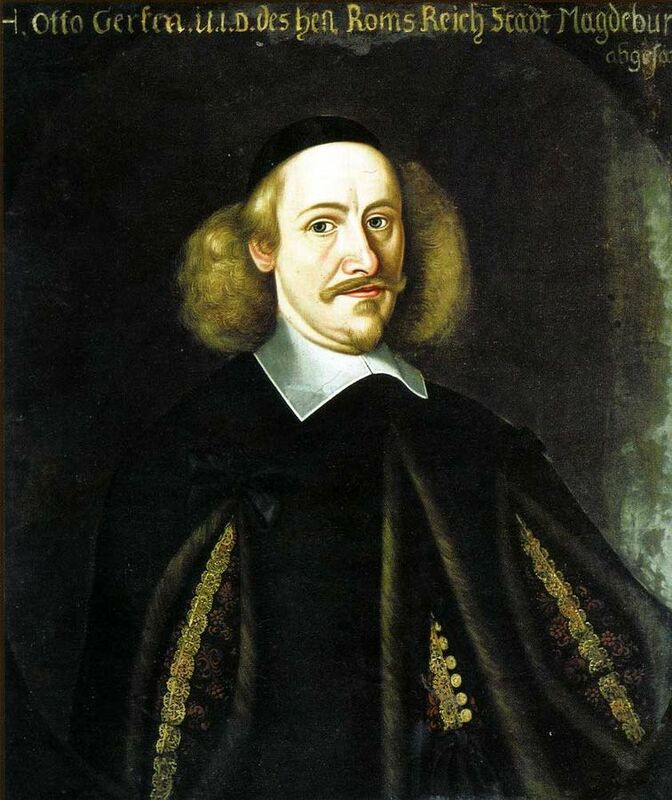 Guericke was a German natural philosopher who invented the first piston air pump to create a vacuum in a container. He also showed that light travels through a vacuum, but sound does not. He is known for a demonstration of the strength of a vacuum. He constructed two hemispheres of copper that he joined together and removed all the air inside. He then showed teams of horses could not pull the sphere apart. He was also the inventor of the first electrostatic generator that could produce static electricity by rubbing against a ball of rotating sulfur.